It is after the 4th of July and you still might not have a new job. Remember, that is ok! Check out the below to keep up the momentum and signup for our free online sales bootcamp if you think our team can help! Rebuild your job pipeline. Rebuild your job pipeline with 30–40 new opportunities. Theses opportunities need to be direct referrals that can introduce you to open roles. Don’t waste your time just clicking on LinkedIn and AngelList postings, you need to find a direct intro to that specific role. Get organized with Streak. 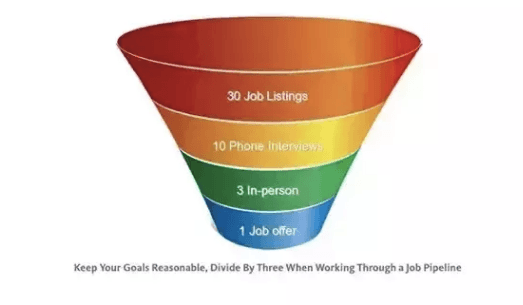 Your job hunt needs to be treated the same a sales pipeline. We teach out sales bootcamp students that you need to have a set process while working through your job pipeline. Streak is great for keeping track of everything, while working through your job search. Leverage unique resources to find roles. Check out Owler, Mattermark and Crunchbase as sources for companies that are hiring for specific verticals and locations.